For day 4 we added Chris and Dragon to our riding group. Nate, Jim and Jesse had to leave mid-day, so we made the plan to shuttle up to the top of Ribbon Trail, where those guys could do the slab portion and bail out where it crosses Little Park Road, while the rest of us would take a new route down to the trailhead. We'd had so much turnover in riders that only Nathan and I had been on Ribbon Trail two days before, so we got to share it with a new group, who of course really dug it. 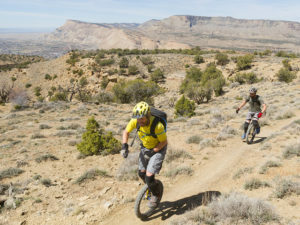 On Day 3 we were riding at Palisade, on the other side of the valley from Fruita, in the Book Cliffs. It's a beautiful area, with stark cliffs leading down to wineries in the river valley. 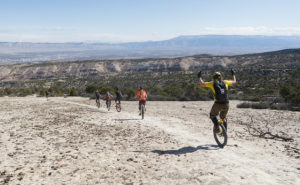 The ride is a climb to the top of a mesa, a double lollipop with a short lower loop and a longer (4 mile) upper loop. 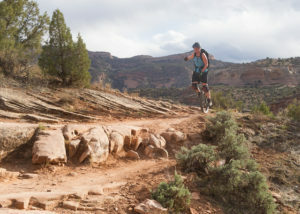 The trail system is not as well developed as the ones on the other side of the valley; it's very tight singletrack, with not many trail options, in contrast with the criss-crossing trails at Kokopelli and Lunch Loops. On day 2 we were going to shuttle to the top of Ribbon Trail at Aspen Mike's suggestion. The start is almost unbelievable, an enormous rock slab that slopes off for over a mile. We also got some cave MUni, and a bunch of desert singletrack on the Gunny Loop. This year's MiniFest started out with me, Nathan, Owen and Nancy taking the train out to Grand Junction, where we met an international group, consisting of Jenni and Emma from Denmark, Adam from the UK, and Benoit from Montreal. After getting in around noon, we headed out for a quick afternoon ride on the Kokopelli Loops system. Training goals for the last weekend before the event: Have fun, get a good workout, don't get hurt. It had rained all week, so Mount Diablo, which would normally be on the schedule, was out, based on our experience last year with bay mud out there. 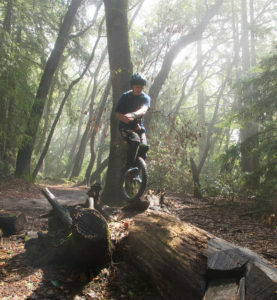 We did Dimond/Joaquin Miller last week, so we went for Soquel Demo, which has two grinding climbs, good drainage, and skippable injury risks. The latest in our Family MUni series featured our first father/son combo. Scott and Matthew came over from Mill Valley, and Scott's wife Tracy hiked along with Nancy. Scott won Best Biff on one of the chutes, Matthew did a line on the way back that he wasn't willing to do on the way out, we got to see the Oakland DEVO middle school mountain biking team, and everyone had fun, which is of course the whole point. 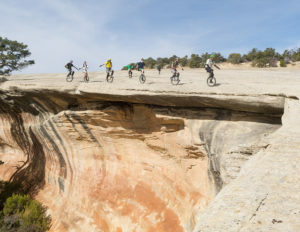 I'll continue to try to do one of these rides monthly, to give newer and less gnarly riders a chance to try things out. 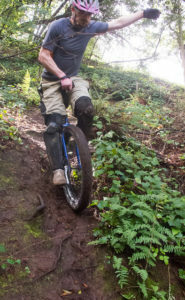 One of our standard epics that still works in the wet is the Dimond/Joaquin Miller combo. I always love this ride for its contrasts. 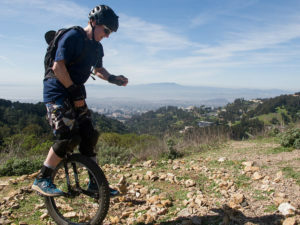 You start in flatland Oakland, and just by rolling through a playground wind up in a forested canyon. 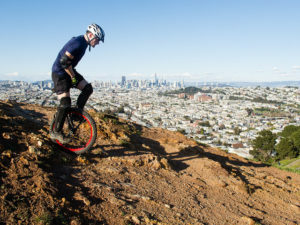 It's not exactly a wilderness, but it's really impressively secluded for such an urban ride. Jimbo and I went to see UPLIFT! 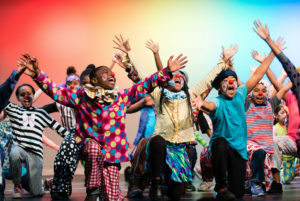 Prescott Circus' 2018 showcase at Oakland Tech. The show was fun, with really high production quality and good energy, and a great live children's band, the Oakland Spirit Orchestra. 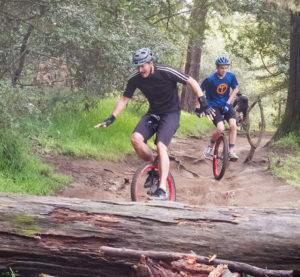 And their unicycle act was solid enough to perform in place of their usual walking globe. Afterwards, Jimbo and I played around a little with a basketball, which the kids were really into. We're planning to hit the Southwest at the end of this month. I'm heading out there by train, along with Owen, and we also need to train, as in, get ready for 5 days of MUni in the desert. So Owen called a ride in Berkeley, and we got a good crew to crank all the way up to the top by the Steam Trains. I'm a pretty dedicated Oaklander, which means I don't get over to the West Bay that much. But Colin and Bevan offered to host a ride in Bernal Heights Park, where I've never ridden, and it was a gorgeous day, so a few of us made the haul over.